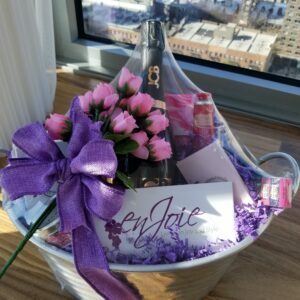 *Contents can be customized to fit a smaller or larger budget – just contact us at (646) 403-3500 or jb@enjoielife.com. Ships in a beautiful wood crate for an added touch of elegance. Arrives sealed in plastic with a gorgeous decorative bow. 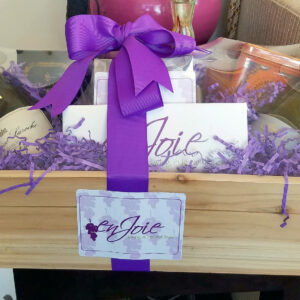 Fine wine and champagne perfectly express your sentiments to loved ones. 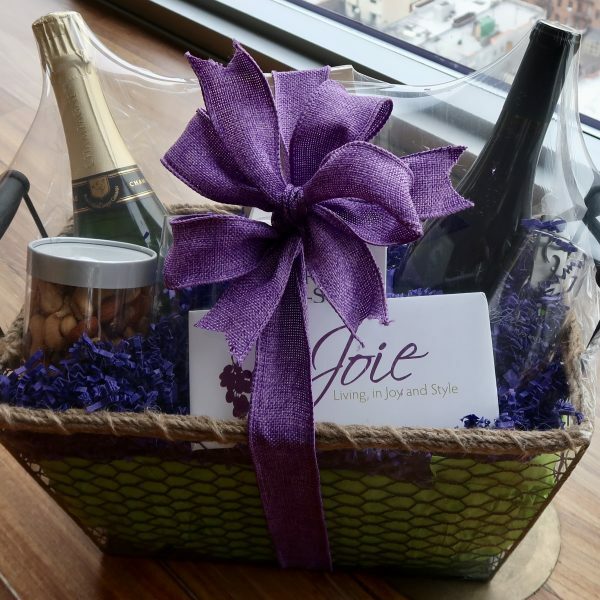 A rose-scented candle, chocolates, stemless glasses, mixed nuts and stainless steel pen complete this basket in a unique way. 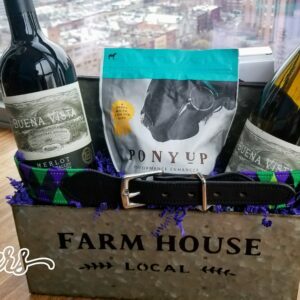 There’s no better way to express your most sincere gratitude, thanks, or other sentiment than by sending a gourmet gift box to friends and loved ones! 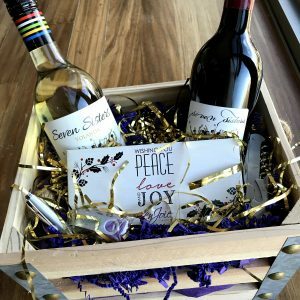 This incredible gift features a brilliantly smooth and well-structured red wine and a fine California sparkling wine featuring bright citrus and floral notes. Your recipient will love the decadent gourmet chocolates that are included in this gift, and he or she will marvel at the thoughtfulness of the included rose-scented candle and stainless steel pen. Great for any occasion, but especially for Valentine’s Day! Be sure to order yours today! 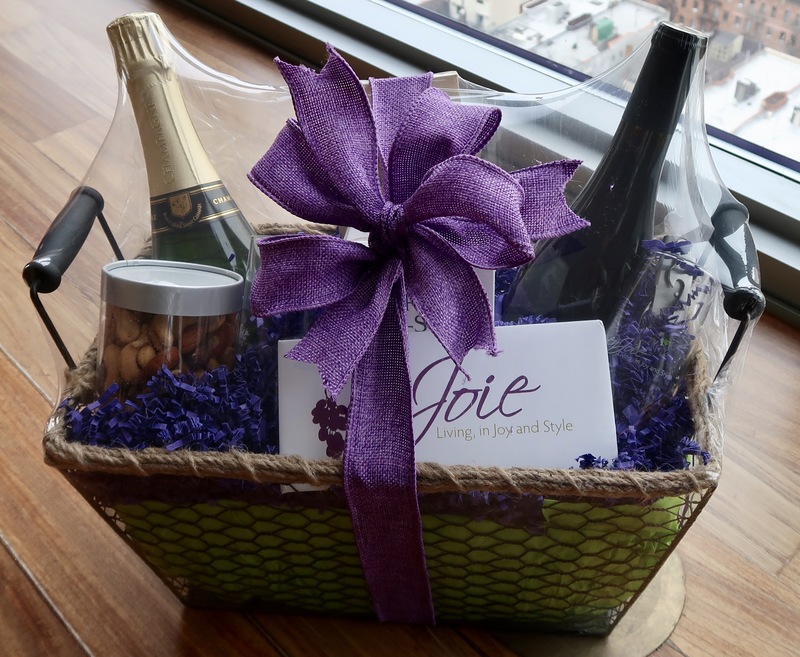 Contents can be customized to fit a smaller or larger budget – just contact us at (646) 403-3500 or jb@enjoielife.com.